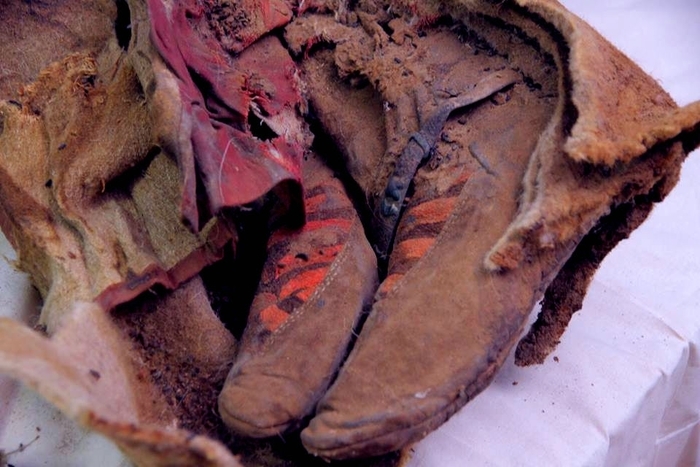 AKIPRESS.COM - Intriguing new details have emerged about a medieval mummy known for her 'Adidas' boots - which she wore more than a millennia ago, Daily Mail reports. The body of the woman was discovered a year ago this week in the Altai mountains region of Mongolia. 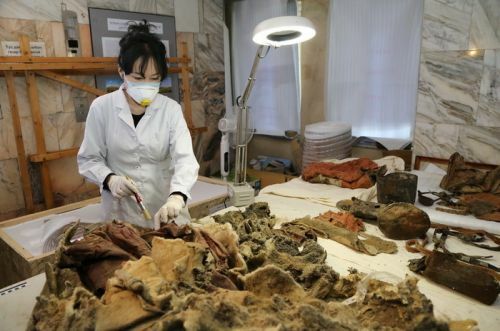 And her body and possessions remained so remarkably preserved that experts are still uncovering some of the secrets they keep. Now, scientists have discovered that the mummy suffered a significant blow to the head before her death. The Mongolian woman - aged between 30 and 40 - hit headlines in April 2016, thanks to her modern-looking footwear, which some likened to a pair of trainers. 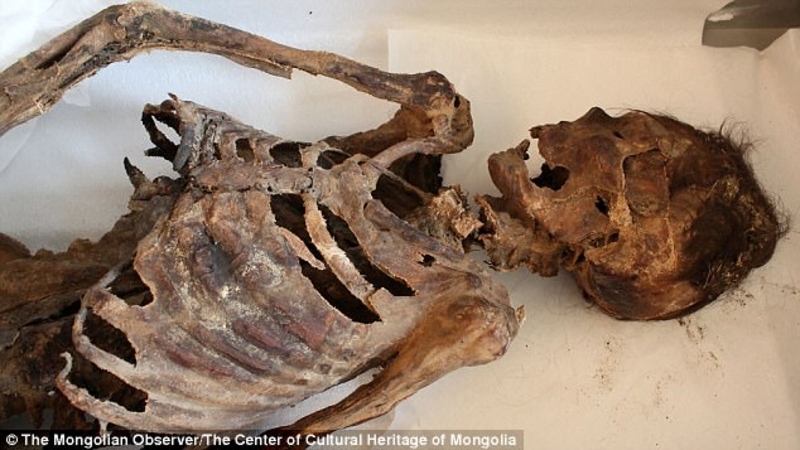 In the intervening 12 months, scientists have been working to find out more about the mysterious Mongolian mummy. And her trademark felt boots - boasting red and black stripes - have been carefully cleaned, with new pictures revealed today by The Siberian Times. 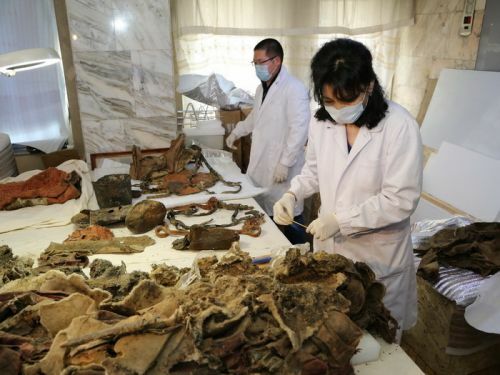 Experts from the Centre of Cultural Heritage of Mongolia now believe the woman died up to 1,100 years ago after suffering a serious head wound. Initial examinations found that 'it was quite possible that the traces of a blow to the mummy's facial bones were the cause of her death'.